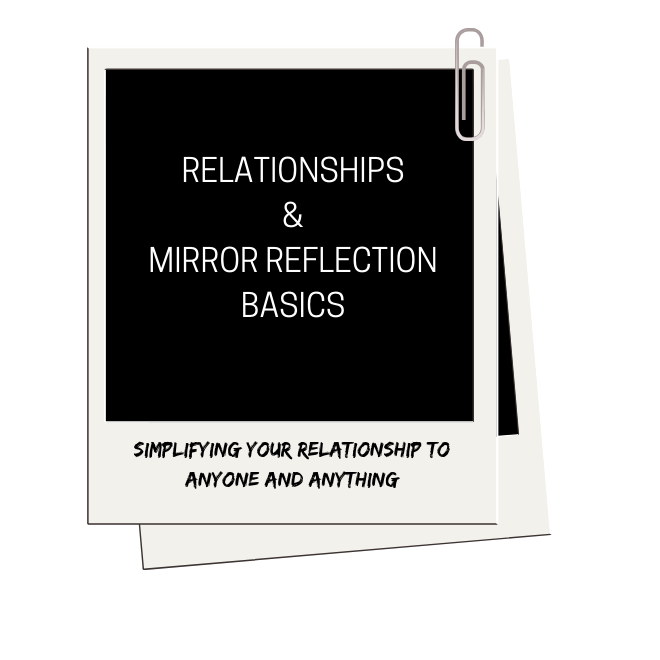 This class is going to simplify all types of relationships and mirror reflections for you. Whether you struggle outright or stumble from time to time, Amy is going to help you understand why and provide you her trademark ways of remembering and navigating through any type of relationship from ones with other people to your relationship(s) with things (money, clients, opportunities, etc.). In addition to all that wisdom, listen and receive guidance into your life as Amy answers actual student's questions during this previously live recorded class. The spiritual and practical guidance Amy offers to these students will most likely speak to your own needs and situations in your life even if the context is different. *This class was previously recorded live and the private group + additional Q+A support from Amy is no longer available as mentioned in parts of this video. This will send you a downloadable mp4. Please note you must be using a computer or tablet to download. Downloads WILL NOT save to a smart phone/iPhone or phone of any kind so do not download it on there. If when downloading to a computer the mp4 will not download for you or 'fails' or provides you an 'error' message, it is due to a lack of space on your device or computer. By removing some unused/old images or videos in your download folder, it will free up space for this hour long video. Please note this video is 2.2gb and downloading it may take a few minutes. Please have a strong internet connection and the abovementioned to properly download this content. If your computer sleeps or goes idle during the download process, downloads may fail. You will have to begin the download process again and keep the computer from sleeping in the process. You will receive an email from PayHip (please check the SPAM folder) to download your video. The link contained in the email can only be used up to (3) times before it expires. If you exceed the download limit, this product will be unable to download. "You are so clear, you make it feel so simple. I really do need you in my pocket!" "I find myself remembering what u say when I’m going through it." "This helps me understand when I'm being codependent." "Thank you for this clarity - this has always been so confusing and now it's not." "Can't write my notes fast enough, this is amazing!" "I watched and rewatched. It took me 2 hours to watch and write everything lol. It was so good!"